As we found out recently in the 10 for 10 series, Sinn is a brand who is excellent at listening to and understanding their customer demands. One of the things that are translated from the end consumer is the love for the 104 range. 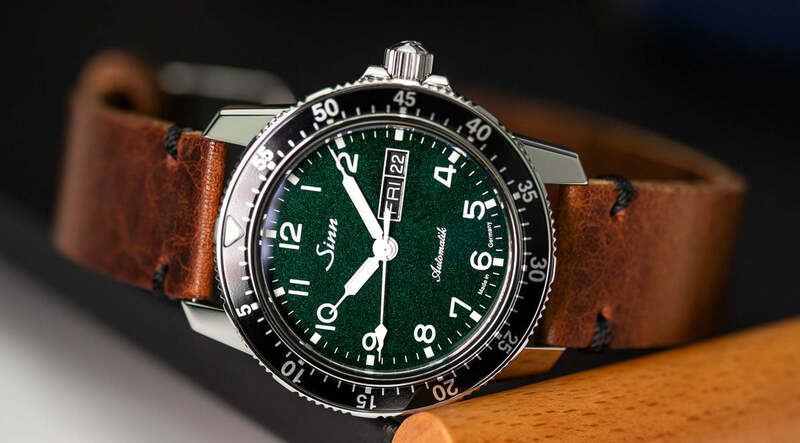 The Sinn 104 St Sa A G is a very familiar watch because the main difference is that new metallic green dial. Width, lug to lug, thickness and movement remain unchanged. With only 500 being made Sinn also have engraved the rotar of the movement. Now, for the metallic green dial. In person the dial's glow is incredible, it plays with the light almost independently. 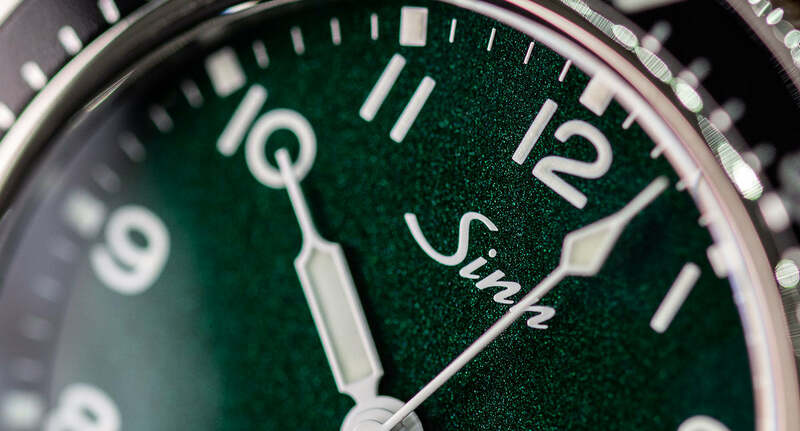 The dial has a very forest green, natural tone to it and yet still manages to feel glamorous and widely appealing. The watch is fitted to a great vintage light brown leather strap which has pull up properties. The black stitching around the top of the strap picks up on the dark bezel and tones to the dial amazingly well. A very coherent package Sinn. This is a limited edition model that I'm sure people can get behind. Sinn hasn't done too much with this one, which is why its a fantastic example of Sinn's understanding of their end consumer. With only 500 available, make sure you pick one up asap if you're interested, they won't last long. Find out more about the Sinn 104 St Sa A G here!